Without K2, D3 absorption is not optimal. 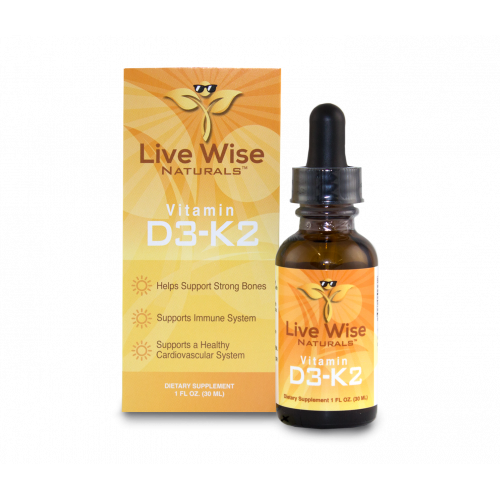 K2 is essential for bone health. 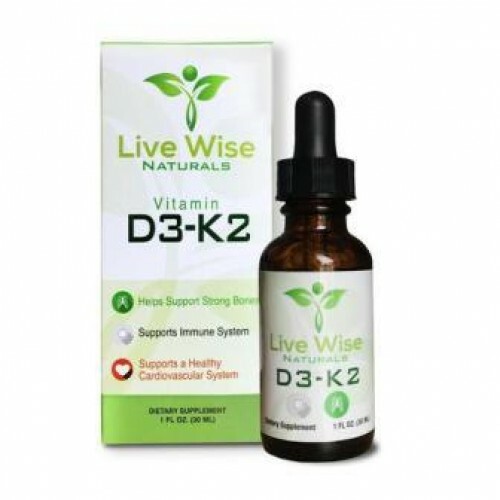 Calcium absorption is greatly enhanced when D3 and K2 are used together over D3 on its own. Liquid drops provide the fastest, most efficient pathway into our bodies. It enters our bloodstream in minutes while avoiding the digestive tract. Sublingual drops are better for absorption than capsules, soft gels, tablets, and chewables without the fillers, binders and synthetic preservatives. 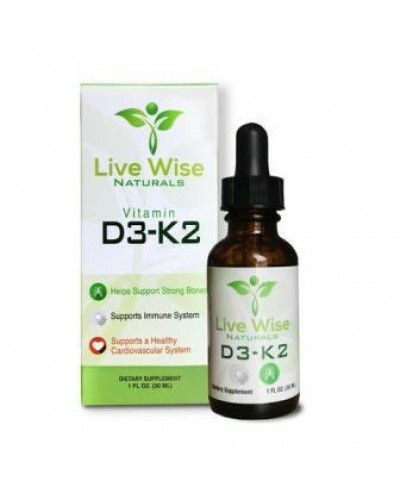 We use an amber glass bottle and glass dropper so there is no need to worry about plastic leaching into your Vitamin D3-K2. Non-GMO, gluten-free, no synthetic preservatives, dairy, added sugars, fillers, binders, flavoring or dyes. 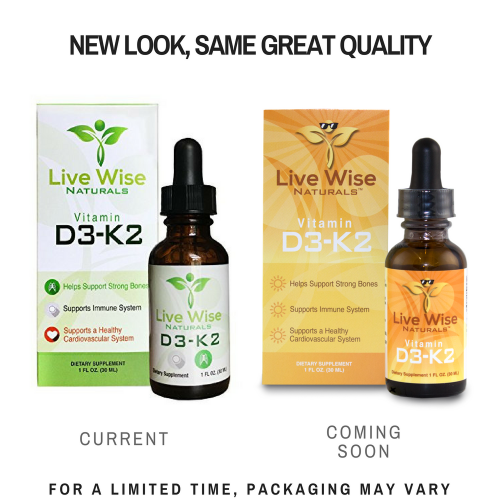 Live Wise Naturals provides the active form of Vitamin D. The same Vitamin D our bodies produce from sun exposure. If you are lacking time in the sun strongly consider supplementing with Vitamin D.
*These statements have not been evaluated by the FDA. This product is not intended to diagnose, treat, cure, or prevent any disease. Store in a cool, dry place (59-85 degrees) away from direct sunlight. Do not refrigerate. Keep out of reach of children.